Zaaaaap! That's the sound of your job going up in smoke when you're not wearing electro-static dissipative shoes in a sensitive work area. Don't let this happen to you! Get a pair of Reebok Men's RB1061 Black/Red Beamer Composite Toe ESD Athletic Oxford Shoes and s ... (see full details) (see specifications) #RBKRB1061. Zaaaaap! That's the sound of your job going up in smoke when you're not wearing electro-static dissipative shoes in a sensitive work area. Don't let this happen to you! Get a pair of Reebok Men's RB1061 Black/Red Beamer Composite Toe ESD Athletic Oxford Shoes and safeguard your job security! Speaking of "security," not only do these athletic shoes come with static-dissipating dual resistors, they're also security-friendly. What's that mean? It means that they're 100% non-metallic, so you can glide right through the metal detectors - greatly reducing the chances of a cavity search. But being non-metallic doesn't mean you'll be less safe on the job. Not with the ASTM F2413 standard-meeting XTR-brand extra-wide composite toe caps. These will protect you from impacts and compressions that may occur on the job. Not only will you (and sensitive electrical components) be safe on the job, you'll also be comfortable as you work. These composite toe shoes feature seamless micro mesh uppers and nylon mesh lining. These lightweight, breathable materials help keep your feet cooler and drier throughout the day. Removable injected-EVA cushion insert insoles in the Reebok shoes absorb shocks while supporting your feet. The outsoles and midsoles on these men's shoes also work to protect you while keeping you comfortable. The lightweight injected-EVA cushion midsoles are soft and flexible, cradling your feet in comfort, while wrap-around TPU heel shank stabilizers provide arch support and reduce foot fatigue. You can put in a full day's work without complaining about aching feet. The rubber bottom outsoles have good resistance to metal chips, oil, and heat. They have even better slip-, abrasion-, and chemical-resistance. All told, these are durable outsoles that'll help keep you upright on the job. Don't zap your career! Get a pair of Reebok Men's RB1061 Beamer Composite Toe ESD Athletic Oxford Red/Black Shoes instead. Order yours from Working Person's Store! Got a pair of Reebok Men's RB1061 Black/Red Beamer Composite Toe ESD Athletic Oxford Shoe, about a year ago. Having to work 10-12hrs shifts on concrete and asphalt. The Reebok Men's Composite Toe ESD Athletic Oxford Shoe is very soft, flexible and comfortable. Working at a nuclear plant, the 100% non-metallic lets me glide right through the metal detectors - greatly reducing the chances of a cavity search. The ASTM F2413 standard-meeting XTR-brand extra-wide composite toe caps, make it nice on your toes if you have a big foot. Have a big foot, The Reebok Men's Composite Toe ESD Athletic Oxford Shoe comes in 14 extra-wide size shoe. I'm very happy with The Reebok Men's Composite Toe ESD Athletic Oxford Shoe and looking forward to my next pair. 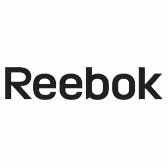 Reebok Shoes: Men's RB1061 Composite Toe ESD Non-Metallic Athletic Shoes is being added to your cart.